Mt. 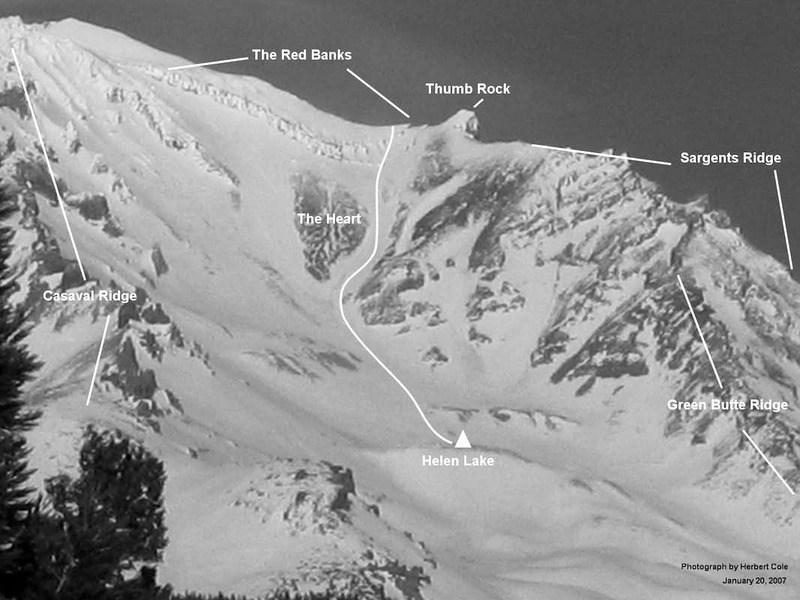 Shasta (14,180 ft.) is a spectacular beginner mountaineering experience. Great for serious hikers who want to take the next step into high-altitude alpine climbing. The Avalanche Gulch route is the second easiest, non-technical route to the summit of Mt. Shasta after the Clear Creek Route, but is by far the most popular. Many people complete this climb in one day from the trailhead, but you also have the opportunity to overnight at Horse Camp (7,950 ft.) or Helen Lake (10,400 ft.). Begin at Bunny Flat Trailhead (6,940 ft.), off of Everitt Memorial Highway. This road and parking lot are snow plowed year-round and you’ll run into plenty of families using the area to sled, hike, or picnic in the summer. Follow the signs for 2 miles to Horse Camp where you’ll find a cabin and large, flat areas for camping. Pro tip: If you’re lucky enough to stumble upon this place alone, the cabin makes for a great overnight shelter. There are long, wide benches great for sleeping, and a small wood stove that’s easy to use. Be sure you bring a sleeping pad – the benches absorb cold air and will leave you hypothermic without an extra layer between your bag and the wood. This is also a good place to leave extra gear (tent, stove, etc.) for your summit push. Brian at daybreak, scoping out our route for the day. Even if the trail is snowed over, from Horse Camp your route should be obvious. Staring up the southern flanks of Mt. Shasta, follow the natural channel of Avalanche Gulch all the way up to Helen Lake. Looking up Avalanche Gulch, Helen Lake is the long horizontal shelf right in the middle. Since this is a southern approach, depending on when you choose to begin in the morning, the sun will be blocked by the eastern Sargents Ridge and Green Butte Ridge. It’s important to do as much snow travel in the dark as possible so that your legs aren’t sinking into soft, melted snow on your ascent. I highly recommend an early alpine start (around 2am) if you’re beginning from the trailhead so that you can avoid the uncomfortable and harsh radiation that the sun will reflect from the snow. Above Helen Lake, you’ll see a large rock formation called The Heart, and above this up on the ridge line, a protruding formation to The Heart’s right called Thumb Rock. Climb in between these two landmarks until you reach Red Banks (12,800 ft.). This photo and this photo should help you visualize this. You can also choose to approach Red Banks farther to the left up a steep chimney, the groups we saw doing this were roped up to one another. Steep grades going up to Helen Lake in Avalanche Gulch. Some groups are roped together towards the steepest part of the climb, up Red Banks. Continue up the Red Banks ridgeline until you reach Misery Hill (13,800 ft.), a landmark that’s rightfully earned its name. It isn’t until the top of this hill that you can actually see the true summit for the first time. The summit pyramid is a rough pile of rock and ice that makes for an easy and fun scramble to the top of Mt. Shasta (14,180 ft.). All smiles at the summit! On your descent you may have the opportunity to glissade part of the gulch – pack an extra layer of pants or slick material that you don’t care about ripping up. Remember to take off your crampons and use your boots and ice axe as brakes as you glissade. Be prepared for any typical mountain climate emergencies. Winds, storms, and whiteout conditions can occur on the mountain at any time and delay or completely stop an exit attempt. Because Mt. Shasta is an isolated volcano, solitary from any mountain range, it is more susceptible to these types of crises. Be wary of AMS and descend at first signs of symptoms.